The 3 star Hotel La Capinera , completely renovated in Bellaria Igea Marina, features secure parking, WI-FI and air-conditioned rooms. On request, small pets are allowed. The hotel is located in Bellaria Igea Marina, near the beach and the Polo Est recreational area where free shows and events are held. The pedestrian area of Viale Ovidio is also within walking distance. The rooms are all equipped with balcony, sea view (on request), air conditioning, WI-FI, safe, telephone, LCD TV sat, private bathroom with shower and complimentary toiletries. Open-air porch, free use of bicycles, weekly buffet aperitifs, satellite TV, lift, reading room, entertainment for groups and theme nights, beach towel on request. The property has a country house 2 km away for walks and periodic parties. PARKING: uncovered, insured and guarded for free use (from June to September). CONVENTIONS: beach, amusement parks, free entrance to the Gelso sports center with swimming pool and gym. On request: organized excursions and shuttle service. PETS: allowed on request, small size. LUNCH AND DINNER : 3 choice menus followed by a buffet of vegetables, fruit and desserts. Pasta and desserts are homemade, water is always included with meals. VARIATIONS : dishes available for vegetarians and for celiacs on request. In hotel : baby sitter and pediatrician on request. The hotel has an agreement with the Bagno n. 56 with swimming pool with sea water, cabins, entertainment. Have you already thought about how to spend Easter? We offer you the very practical Bed & Breakfast formula at a cost of € 20 per person! Included in the package Bed and Breakfast buffet (jams, cakes, yogurt, fruit juices, meats, cheeses etc ..). 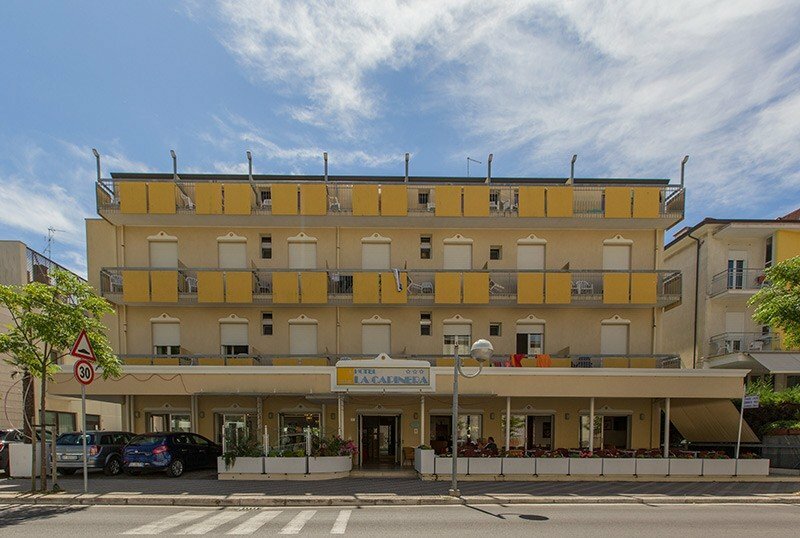 We are located in front of the Great Free Beach East Pole and in a central position with respect to the two pedestrian areas of Bellaria and Igea Marina. Special agreements with the best restaurants in the area!